*Flexible thigh platform conforms to leg size. 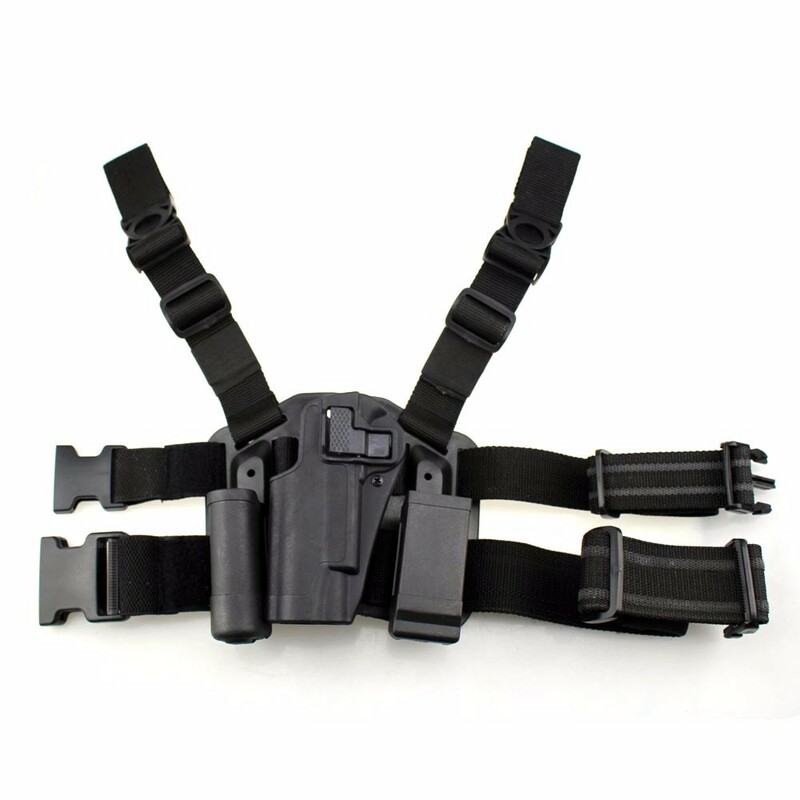 Quick-disconnect swivel buckles allow superior flexibility, quick holster mounting and dismounting. *Accessory mounting locations for magazine and flashlight/No thumb break or awkward middle finger release to slow down your draw. *Speed cut allows faster draw and easy re-holstering/Immediate retention and audible click upon re-holster for security. *Speed-cut design allows rapid draw, target acquisition, and re-holster while keeping eyes on target. 1.For defective or wrong items received : Buyers must report to the Seller within 7 days after received of goods. For defective item, Buyers must send with email of photos indicating the area and condition of defects. Upon acknowledgement by the Seller, the item must be returned within 7 days thereof. Actual postage fee for returning, as well as costs for re-sending the replacement item will be borne by the Seller. 1.Please complete your delivery address with contact phone number,especially Russia buyer,please confirm your full name. 2. Any problems,please do not hesitate to contact us at first time before OPEN CASE or leave Neutral / Negative Feedback with less than 4 stars rating, we always try our best to solve it for you!